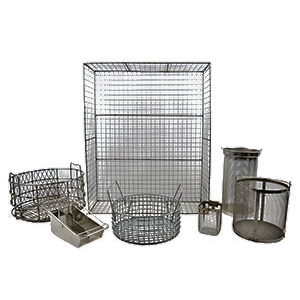 Wire Mesh Baskets | Welcome to Hillside Wire Cloth Co.
Wire mesh baskets can be made from almost any metal or alloy, but the most frequently is stainless steel of different grades and types. Stainless steel is an excellent general purpose material that can withstand high pressures, high temperatures, and a variety of corrosive conditions without suffering a breakdown in its basic strength, durability, or integrity. 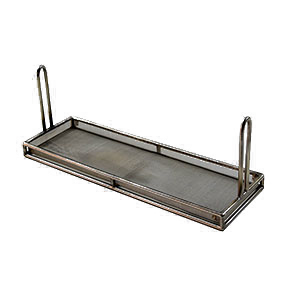 Stainless steel is also extremely easy to clean and has a bright and sterile appearance that is preferred for some basket applications. 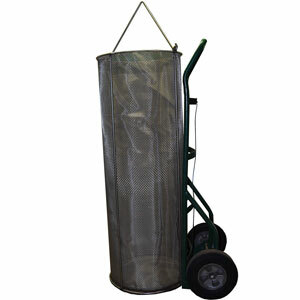 The shape and depth of a wire mesh basket is an important part of the basket’s construction. 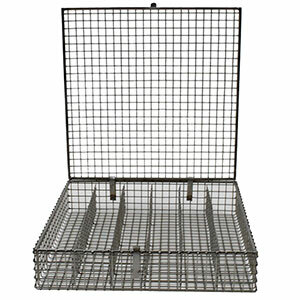 Wire mesh baskets can be round, rectangular, or square. Their depth can be from less than inch to a foot or more. 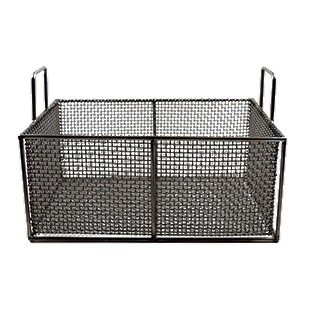 The mesh basin of the basket is usually welded to a top frame to which handles can be attached to make manipulating the basket much easier. 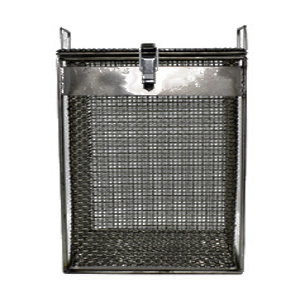 The basket handle is often essential when the basket is being used in conditions where immersion in extremely hot or corrosive environments would prevent physical contact due to possible injury. Another important part of a wire mesh basket is the weave pattern of the mesh and the size of the openings within the wire mesh. The most commonly used pattern is a plain weave, which is a simple over-and-under method of weaving the wires to create square openings of a certain size within the mesh. The opening size in the mesh is determined by what the basket is intended to contain or strain through the mesh. 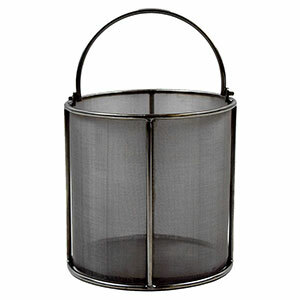 A mesh basket intended for storing small parts would not have large openings.